Amma Baby Care Kit. Jayalalithaa Amma Baby Care Kit Scheme. Tamilnadu Govt Amma Baby Care Kit scheme Items/guidelines for the new born babies. Tamilnadu Chief Minister Jayalalithaa has introduced "Amma Baby Care Kit" Scheme. This Scheme is announced for the new born babies who born in the government hospitals of Tamilnadu. 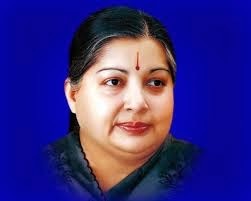 This news is announced in the assembly by the chief minister J.Jayalalithaa. About 7,00,000 families will be benefited from this scheme. There are 16 items will be included in the kit. The following items will be placed in the kit provided by the state government of Tamilnadu. Baby Towel, Baby Dress, Baby Bed, Mosquito Net, Napkin, Oil, Shampoo, Soap, Soap Box, Nail Cutter, Toys, Sanitizer, Soap for mother and Sowbhagya Legiyam to improve mother's health. More details and guidelines of Amma Baby Care Kit will be announced soon.